Study days on venetian glass - 2015 edition (432.05 KB). Salviati o Compagnia di Venezia, 1878, Museo Vetrario di Murano. La partecipazione è riservata solo agli iscritti al seminario. I principali musei d'arte e d'arte decorativa in Europa e in America vennero fondati nel XIX secolo o, se fondati nel secolo seguente, si arricchirono comunque di collezioni private formatesi antecedentemente. Il vetro antico, soprattutto quello romano e veneziano, venne riscoperto in quel periodo e riscosse l'interesse degli storici, degli storici dell'arte e degli studiosi d'archivio. 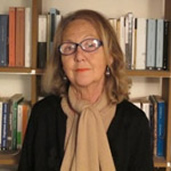 Furono quindi scritti i primi libri focalizzati sulla storia del vetro, si redassero cataloghi di collezioni pubbliche e private e vennero editi i cataloghi delle numerose aste, da cui giunsero veri capolavori nei musei internazionali. La creazione di questi musei e di queste collezioni ha segnato una svolta nella storia della cultura ma alcuni capolavori, pur noti già nel XIX secolo, non sono ancora stati studiati come meritano. Questo fenomeno sarà il tema del prossimo incontro nell'ambito delle Giornate di Studio del Vetro, come anche il problema della realizzazione di copie e falsi nello stesso XIX secolo. Nell'epoca dei revival, infatti, i musei di arti decorative - il Victoria & Albert Museum ed il Museo Vetrario di Murano ad esempio - avevano spesso come missione istituzionale quella di proporre modelli da imitare agli artigiani contemporanei. Oggi gli studiosi di arte vetraria non solo considerano con interesse la produzione vetraria dei revival ma sono anche impegnati nella individuazione di pezzi antichi e di pezzi ottocenteschi nell'ambito delle collezioni museali. Recupero di tecniche e modelli antichi nel corso del XIX secolo. "Foresti" in Venice in the second half of the 19th century: their passion for paintings, brocades, and glass. Raw materials and glassmaking technology in the Murano glasshouses of the 19th century. Nineteenth century Venetian glass and the museums' collections. Abstract - Several private collections of ancient Venetian glasses were acquired by European and American museums as main nucleus of their museums' glass sections. Amongst them almost unknown is Salviati's firm collection of ancient glasses, preserved till 1872 in their headquarters based in Campo San Vio / Venice. It was then sold in an auction and several pieces entered the Edinburgh National Museums. The ancient glasses of the museums were copied in Murano's glassworks in the Revival period. The nineteenth century imitations of these glasses have been reevaluated and are to be considered as an important document to study the original models from which they took inspiration. william gudenrath The Fall, Winter, and Spring of the Venetian Glass Industry: Changing Times and Changing Techniques. Abstract - The gradual decline in Murano's glass production during the later 18th century led to a near cessation of sophisticated glassworking on the island during the first half of the 19th century. If one considers the 1708 collection of Venetian glass in Copenhagen's Rosenborg Castle as representative of the twilight of a golden age, and the mid- 19th century work of Graziati, Bigaglia, Radi, and Salviati & Co. as representative of the dawn of a new age, some seven generations of workers passed. While it is often said that fine glass working in Murano has a continuous tradition reaching back to the Middle Ages, purely on a technical basis, close scrutiny of objects suggests a discontinuity. In terms of the techniques of virtuoso glassworking, the 19th century reestablishment of the craft in Murano was arguably more of a reinvention than a revival. Through the use of comparative photographs and videos of the speaker's process reconstructions, the lecture will focus on a number of definable and consistent technical differences between earlier and later Venetian glass. The Wallace Collection E. W. Cooke (1811-1880), English marine artist, diarist and collector: the formation and dispersion of his Venetian glass collection. Abstract - The Victorian artist Cooke's diary provides an exceptional record of the way in which a well connected, much travelled London glass collector acquired, transported, displayed and disposed of his collection. Cooke made several extensive visits to Venice. His passion for Venetian glass was at its height from 1863 to 1865 and his posthumous glass sale at Christie's in June 1880 included 550 Venetian lots. More than 40 glasses from his collection are in the British Museum. Cooke's diary and the museum's documentation provide a fascinating insight into how this came about. Specific chemical compositions of 19th century glass. Abstract - Glass made during the 19th century appears generally very specific and different from ancient glass. Pure raw materials coming from the young industry, new provenance for minerals ores, new technological processes for the preparation of these materials and for the fusion of the glass (furnaces), as well as new colorants and opacifyers appear. All these elements, which allow us to distinguish a 19th century glass from a glass made during the previous centuries, will be presented in general for different European glass productions including some examples for Venetian glass. Renaissance Venetian enameled glasses in the Louvre collection: their provenance in the 19th c.
Abstract - The collection of Renaissance Venetian enameled glasses in the Louvre Museum is one of the largest in the world. Constituted between 1825 and 1893, thanks to several acquisitions, bequests or donations, the collection contains about fifty pieces. The study of their provenance in the 19th c. provides the opportunity to understand better when the taste for this precious objects appears and develops in Paris. Abstract - in our work we will present the goblets (approximately1550-1600) from several refuse pits in Bratislava (one of the most important towns in the Hungarian kingdom). In the refuse pits were found goblets made of Venetian origin glass and a domestic potassium glass. The richest collection from a palace of aristocracy contained about 40 goblets from the 2nd half of the 16th century. The presentation shows the similarity and the differences in the forms of both groups of goblets, which was confirmed by the chemical analyses of more than 20 goblets. Abstract - Investigating filigrana glass I found several fascinating glasses. In this talk I would like to introduce some of them: filigrana glass found in Japan, a filigrana glass with Murrine and a drinkuyt or bell recovered after two hundred years. The collection includes hundreds of pieces, selected and arranged according to the various glassmaking techniques, and recovers the "applied" antique style of the 19th century in Murano, when objects in filigree, millefiori, aventurine and chalcedony glass, inspired by Renaissance and Baroque glass art, were distinguished by their technical finesse, decorative virtuosity and audacious colours. The pieces came mainly from the English market of the time, collected by Fiorella and Phillip de Boos-Smith, of Italian and Australian families and living between Sydney and Venice: an emblematic collection of that 19th-century, typically English, taste that favoured colour, imagination and technical expertise, taken at times to the limits of kitsch. The aim of the meeting, to be held in the teaching room of the State Archives of Venice, is to provide an overview of the documents stored in the public archives of the Serenissima and conserved in the Franciscan Convent of S. Maria dei Frari, that provide insight into ancient glass manufacturing methods, the location of the furnaces on the island of Murano, the type of production and the laws governing the production of glass over the centuries. The original documents will be shown and a description provided of possible research lines. A pattern book of the Venice and Murano Glass Company Ltd.
Collection of Murano in Ajuda National Palace: the rebirth of forgotten glassmaking techniques and the creativity of the Venetian glassblowers. Abstract - When the princess of Savoy Maria Pia, daughter of King Vittorio Emmanuele of Italy, was engaged to King Louis I of Portugal in 1862, the rebirth of the old glass industry where Antonio Salviati was involved was already under way after a regression period with the Austrian occupation. In 1866 Venice became part of the kingdom of Italy. 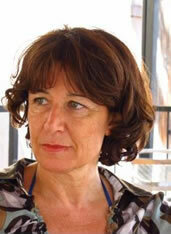 Despite the long distance, Maria Pia maintained regular contacts with her family and country. During her visits to Italy she had knowledge of the Italian artistic production such as Venetian glass of which she bought about 600 pieces. The Murano glass collection of the National Palace of Ajuda amounts to 592 objects of utilitarian and decorative glass. Most of them were acquired during the time the palace was this queen's residence, the period between 1862 and 1910. The Role of Venetian Glass in the Collection of the MAK - Austrian Museum of Applied Arts / Contemporary Art: Pattern Piece, Collection Highlight and Aesthetic Inspiration. Abstract - During the 150 years of collecting Glass in what used to be the Imperial Royal Museum of Art and Industry, the aspects of collecting Venetian Glass shifted with the change of purposes the museum as a public institution had to follow. First the institution was to serve as an exemplary collection for artists, industrialists, and the public, and as a center of training and continuing education for designers as well as craftsmen. Around 1900 it became a collection with mainly aesthetic value, serving as inspiration for artists teaching at the Vienna School of Arts and Crafts. 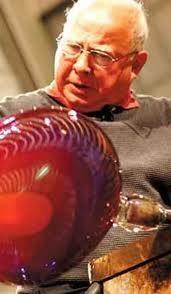 Historic Venetian Glass and 19th century examples were purchased. These were published in a separate catalogue in 1951. In connection with the Venini Murano Glass exhibition, the first presentation of Venini glass in Austria, major purchases and gifts augmented the Glass Collection. 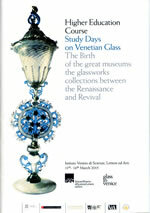 The lecture gives an overview of the history and highlights of the collection of Venetian Glass at the MAK. Venetian style objects from the collection of Ferdinand II. Abstract - The collection of King Ferdinand II of Portugal (of around 200 glass objects) includes a large group of glass in the Venetian style (about 40%). A small set of these are now thought to be from the 19th century, but the attribution has been a challenge. A set of two glass goblets is quite peculiar and has been posing a lot of questions concerning its iconographic study and interpretation, and its conservationrestoration process. The Venetian style objects in this collection reveal the exquisite taste and sensibility of Ferdinand II to this type of glass, both in terms of his acquisitions of antiques and of innovations from the 19th century. Therefore, they are of great importance and with no known parallel in any other Portuguese collection. In fact, King Ferdinand II is nowadays thought to have been a pioneer in the matter of the taste for glass collecting in Portugal during the 19th century. In the second quarter of that same century, Ferdinand of Saxe-Coburg and Gotha (1816- 1885), Prince-Consort by marriage with the Portuguese Queen, Maria II (1819-1853), gathered an ample set of glassworks in his two main residences: the National Palace of Necessidades (Lisbon), and the National Palace of Pena (Sintra). Part of this collection has been transferred a couple of times, since the dismantling of the glass room in the National Palace of Necessidades (by the time its custody was delivered to the Ministry of Foreign Affairs), which has direct consequences in today's interpretation of this collection. Provenance attribution, clarification on technological aspects and interpretation of the two glass goblets mentioned would definitely benefit by a rich discussion with experts in History and Art History of glass, and in Venetian 19th century technology. Napoli The Duke of Martina and his collection of Murano glass and à la façon de Venise glass. Abstract - Placido de Sangro, Duke of Martina, was born in Naples in 1829. He belonged to a well-known household that enjoyed close connections with the Bourbon court. Following the unification of Italy, he moved to Paris where he started to purchase objects of applied art, a venture that allowed him to contact the most important European collectors, such as the Rothschilds. It also allowed him to take part in the great universal exhibitions held in those years in London and Paris, which had contributed to kindling a strong interest for the application of art to industry. His collection included more than six-thousand pieces of western and oriental art, dated between the 12th and the 19th Centuries, mainly constituted by pieces in ceramic. After the death of his only son in 1881, the entire collection was inherited in 1891 by his nephew, also called Placido, the Count of Marsi, who, through his wife Maria Spinelli di Scalea, bequeathed it to the city of Naples in 1911. The collection was hosted in Villa Floridiana and the Museum dedicated to the Duke of Martina was opened to the public in 1931. The section dedicated to glasswork includes some two-hundred pieces, including artefacts from Murano and à la façon de Venise, in addition to a small collection of Bohemian and English glass, some painted glass and églomisé glass. Overall, the collection represents the most important periods in the evolution of the Murano glassmaking art; indeed, it includes precious examples of painted glass made between the end of the 15th and the beginning of the 16th century, goblets in crystal glass from the 1500s and a broad selection of "twisted glass" vases, in transparent, milk, or coloured glass, as was typical of the baroque culture between the 17th and 18th Centuries. The collection is completed by a selection of pieces realised à la façon de Venise, that bear witness to the success of Murano glass: the collections of Catalan and German glass are of particular interest. New light on Venetian Cameo Glass. Abstract - The paper will discuss one of the rarest type of glass: cameo glass produced by the Compagnia Venezia e Murano between the late 1870s and 1880s, through one of the only two pieces known that are signed and dated by Attilio Spaccarelli. In an intellectually challenging way typical of the best 19th century revivalist works, the glass presents numerous facets of interest; from the wide-ranging and insightful iconographic sources, to the presence of a unique feature: a metal foot probably made by one of the best goldsmiths of the time. Venetian Glass in Museo Cerralbo. Abstract -In this communication a short description of the use of glass colour through the ages will be reported. It will be focused, but not entirely, on the use of the red and yellow colour, due to chromophores in a colloidal state. The colours of some objects of the museum collections will be shown, as well as innovations in the colouration of glass. This exhibition is an initiative of VICARTE (research unit "Glass and Ceramics for the Arts", of the Faculty of Science and Technology of the Universidade Nova de Lisboa and the Faculty of Fine Arts of the Universidade de Lisboa). It was conceived and coordinated by António Pires de Matos, Isabel Silveira Godinho, and Andreia Ruivo of Vicarte and promoted by VICARTE and the Istituto Veneto di Scienze Lettere ed Arti with the patronage of "UNESCO-2015 Year of Light " On the occasion of the international "Year of Light" 2015, VICARTE has organized this exhibition as a way to communicate to a larger audience the artistic and scientific research in the field of glass and light interaction. The exhibition, curated by Rosa Barovier Mentasti and Francesca Giubilei will include the works of 15 international artists, invited to develop projects on the theme of glass and light. The results are works that speak of the interaction between the two from a formal and conceptual point of view. Davide Fuin grew up around glass on Murano, often accompanying his father to his job at Barovier & Toso. Although he was too young to actually work, he was fascinated by the activity and the interactions between the glassblowers. When he was fifteen, he left high school and, as was required at that time, he went to work at a glass factory. What was generally considered a punishment, was for him a revelation. He found his calling. In 1968, he began working at Venini and in 1980, a number of masters, including his father, left Barovier & Toso to open their own factory, Toso vetri d'arte. He joined his father and began working with the master Carlo Tosi Caramea. By the late 1980s, Fuin was considered a young maestro and a new factory, Elite Murano, offered him the position of first master, with his father as the principal assistant and support. 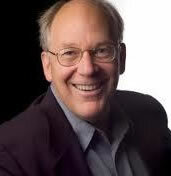 In the late 1990s, Fuin founded D.F. Glassworks with two assistants. 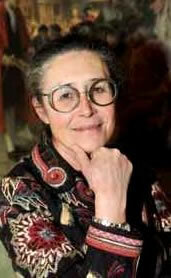 They primarily produce glasses and stemware, together with museum reproductions in Venetian style. Although he doesn't consider himself an artist, he takes great pride in his abilities to carry on the specific craft and language of forms developed in the furnaces of Murano over the last thousand years. The world puts on mosaics. 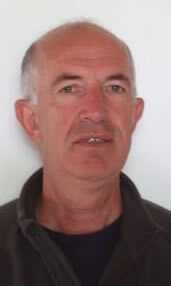 Professore emerito di Lingua e letteratura inglese nell'Università Ca' Foscari di Venezia, ha pubblicato numerosi studi di carattere generale sulla vita letteraria anglo-americana e su alcune delle personalità più rilevanti della cultura inglese e americana dell'Otto e Novecento, soprattutto nelle loro relazioni con la letteratura e con l'arte e la società Italiana, come Henry James, Isabella Stewart Gardner, Ernest Emingway, Ezra Pound. Le domande di partecipazione verranno inviate via e.mail (ivsla@istitutoveneto.it) entro il 15 gennaio 2015.